The Terra Project is the name of Marist's environmental and sustainability program. We pursue our mission through a three-pronged approach: environmental and sustainability education (curricular and extracurricular), program offerings, and building/operations management. Marist is home to a honey bee apiary. Established in 2015, the apiary provides a home local honey bees, which helps address the declining pollinator populations worldwide. Through several student-led groups, we have established bat houses around campus to help support the declining bat population. You can view a brochure about Marist's bat habitat projects here. Marist's Ivy Street Center, built in 2014, is built to LEED-certified standards. It features LED lighting, a high-efficiency HVAC system, sun shades along windows, a rainwater catchment system, and occupancy sensors, among many others sustainable features. Marist has undergone a large lighting retrofit to replace older fixtures with LED lights. Our cross creek campus features pervious pavement to help with stormwater run-off from our parking lots. Almost all of our irrigation uses well water. The addition of a dishwasher has allowed us to move to reusable items in the cafeteria, drastically lowering the amount of waste produced during lunches. We compost both pre-consumer compost (food scraps from the kitchen) and post-consumer compost (leftover food, low-grade paper products, and designated compostable containers from the cafeteria). Additionally, any bathrooms with paper towel dispensers have designated waste receptacles so that they may be composted as well. We host two annual electronics waste recycling events - one the week of America Recycles Day (November 15) and on the week of Earth Day (April 22). We partner with e-Planet e-Waste and will have large bins in front of the LIBRARY for members of the community to drop off all kinds of used, old, broken, and unwanted electronics. The event is free for all electronics, with the only fee for TVs at $10 EACH. Anyone can swing by during normal school hours to drop off electronics. All hard drives from computers will be safely shredded. Started in 1995, the Environment Club helps to raise student and faculty awareness of environmental concerns. We host creek and campus clean-ups, celebrate Earth Day, and support our memberships in organizations like the Clean Air Campaign, Keep DeKalb Beautiful, Adopt-A-Road, the Green Schools Alliance, and National Wildlife Federation. What? Accepts paper, alumninum, glass, and marked plastics. While cardboard is accepted, boxes that have touched grease are NOT- (ie. pizza boxes - these can be composted). Where? In a large green bins and smaller blue classroom bins around campus. Also available in the cafeteria. The Environment Club will be sponsoring an E-Waste drive November 5 - 11, in honor of America Recycles Day, to promote safe and responsible disposal of electronics waste. We are partnering with e-Planet e-Waste and will have large bins in front of the Library for members of the community to drop off all kinds of used, old, broken, and unwanted electronics. The event is free for all electronics EXCEPT FOR TVs which come with a mandatory fee of $10. Cash or check made to Marist School will be accepted at the security booth. Anyone can swing by between 7:30 a.m.-6 p.m. to drop off electronics. All hard drives from computers will be safely shredded off-site. A list of acceptable items can be found here. Bins will be located in the Library Plaza facing the circle. Thanks for your help to responsibly dispose of your electronics waste! 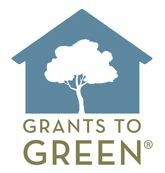 Through a grant from the Community Foundation for Greater Atlanta, we have assessed our facility’s energy use and efficiency and received recommendations for how to improve efficiency and we have applied for and received funding to implement a number of energy and cost-saving measures such as high-efficiency HVAC systems for our Chanel Hall. How Does a Recycling Center Work?